Whether you want to come together or have your own space, this upscale beach house has you covered! Brand new to the Seacrest/Rosemary Beach area rental market, this home was featured on Episode 7 of A&E’s Vacation Rental Potential showcasing the design updates that were made. The open-concept kitchen, dining and living area has plenty of seating for large groups. Enjoy a meal together or gather around the TV to relax after a day at the beach. During the day, there’s so much to do! You’re just a few minutes walk away from a huge 12,000 square foot pool, shops/restaurants, and of course, the beach! There’s a bike shop right in the community where you can rent bikes to ride down the scenic 30A highway. You can also take the complimentary trolley (March-October) to the beach if you don’t feel like walking! Back at the house, there’s plenty of outdoor space on our bi-level, wrap-around decks and screened in breezeway to curl up with a good book and a beverage. Ready for some time to yourself? Retreat to one of the 4 spacious, professionally decorated bedrooms. Each bedroom has its own bathroom – and its own entrance! You can come and go as you please without disturbing the rest of the house. One of the two master suites even has its own kitchenette! Grownups will love the large, sumptuous beds while kids can have their own space to sleep and play in the bunk room. This well-appointed home sits on a quiet street within a community full of great neighbors. Its a fantastic area to take a walk and enjoy the surroundings that the Emerald Coast provides. 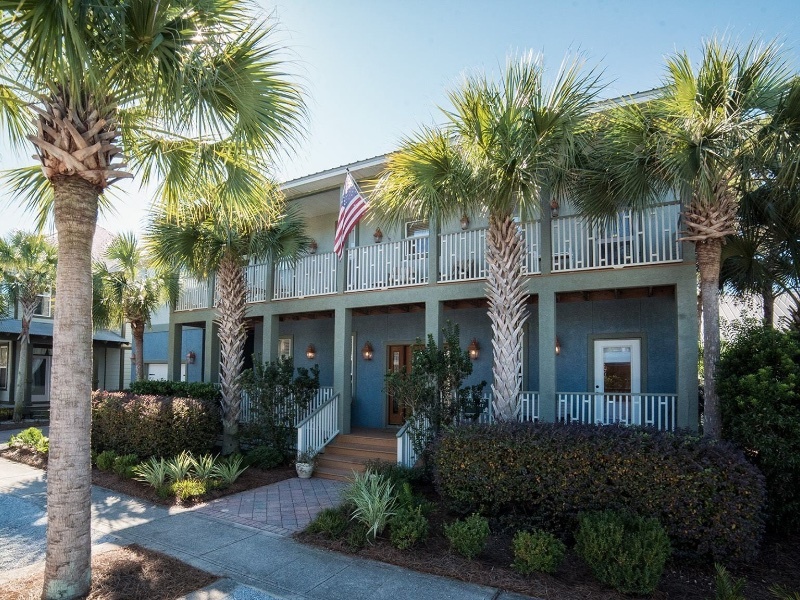 Whether you’re bringing your whole family, traveling with other families, or getting out of the office for a business retreat, this beach sanctuary is ready for you! We love this fabulous spot, and we can’t wait to share it with you!